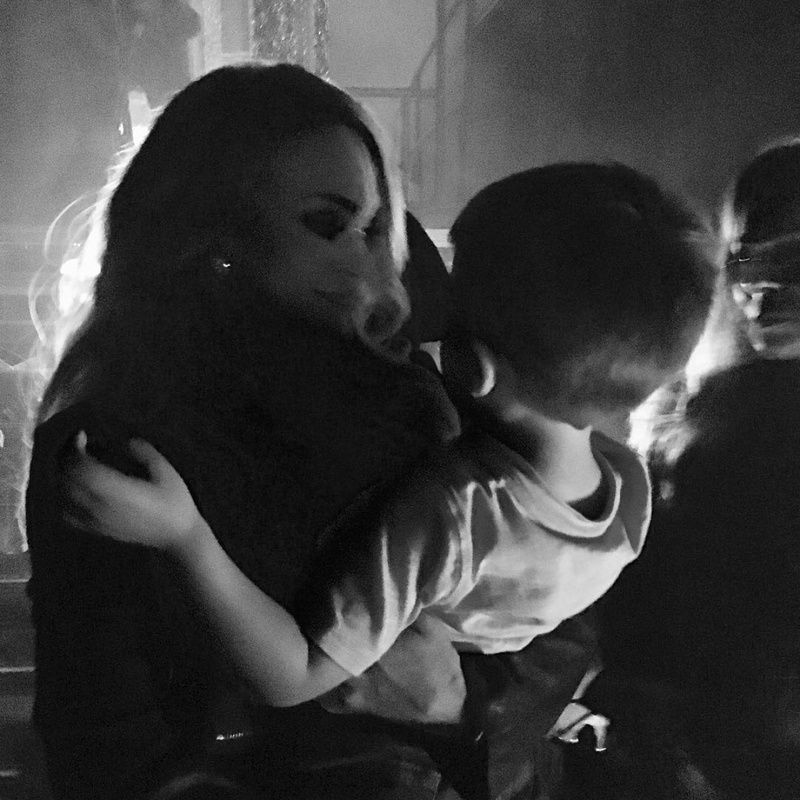 Carrie Underwood shared on Instagram a photo of her holding her 3-year-old son Isaiah before a weekend performance at the Hard Rock Cafe and Casino in Atlantic City, N.J.
"This was about 30 seconds before I went on stage tonight..." the country music star and former "American Idol" winner captioned the image, which shows her gazing lovingly at her child. E! News said the boy enjoyed his first concert from the front row where he sat with his dad, Underwood's husband, Mike Fisher.